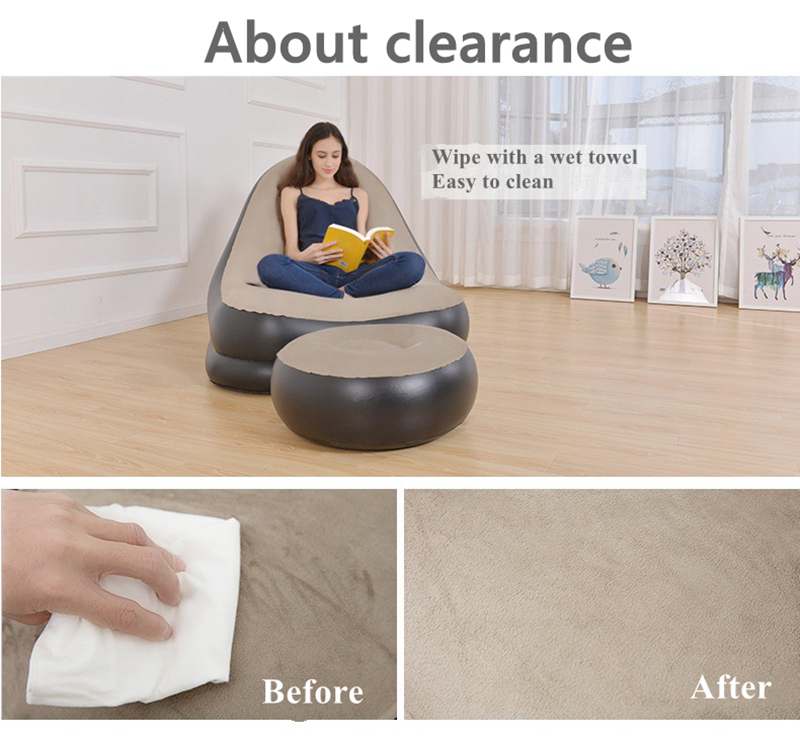 Generally, put the inflatable sofa in a ventilated place for about 2 days, the smell will naturally disappear. 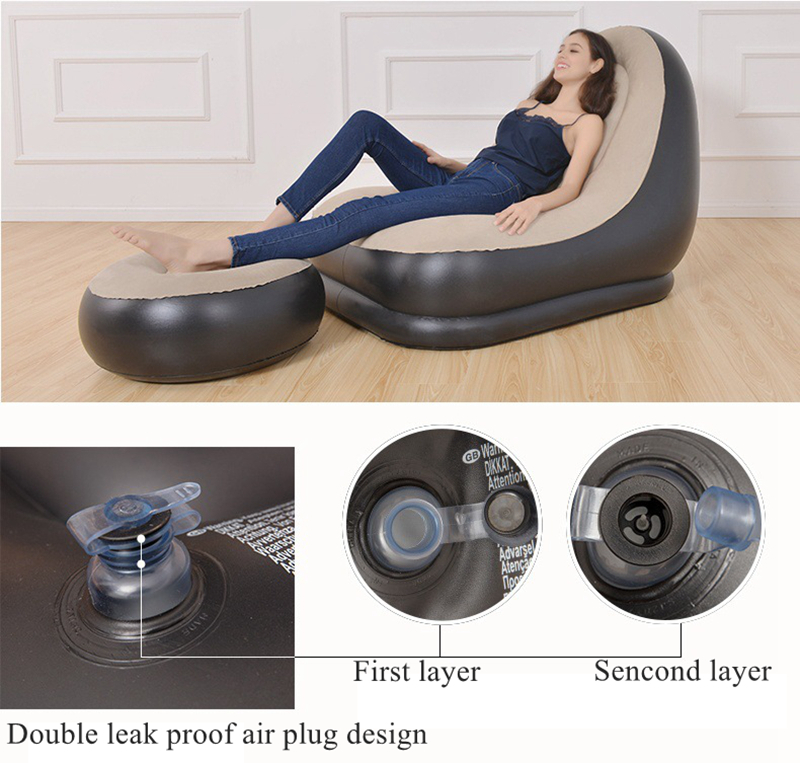 For first time use, inflate the sofa 80% (not 100%), and use it after 8 hours. 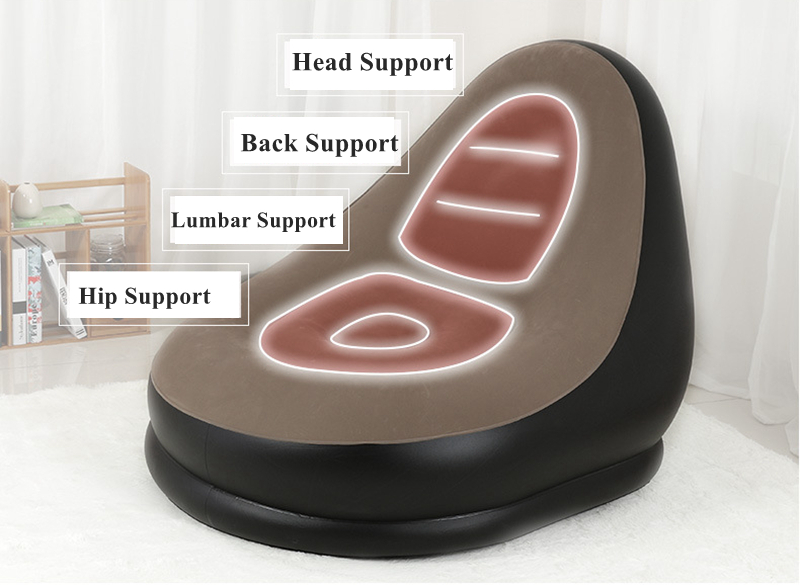 It is normal for the new product to have a small amount of air added every day in the early stage of stretching. 2. For only one person to use, air can be more full. But if two persons are using it, deflate a small amount. Season varies, pay attention to deflation of a small amount. 3. NEVER 100% inflate (especially in summer). 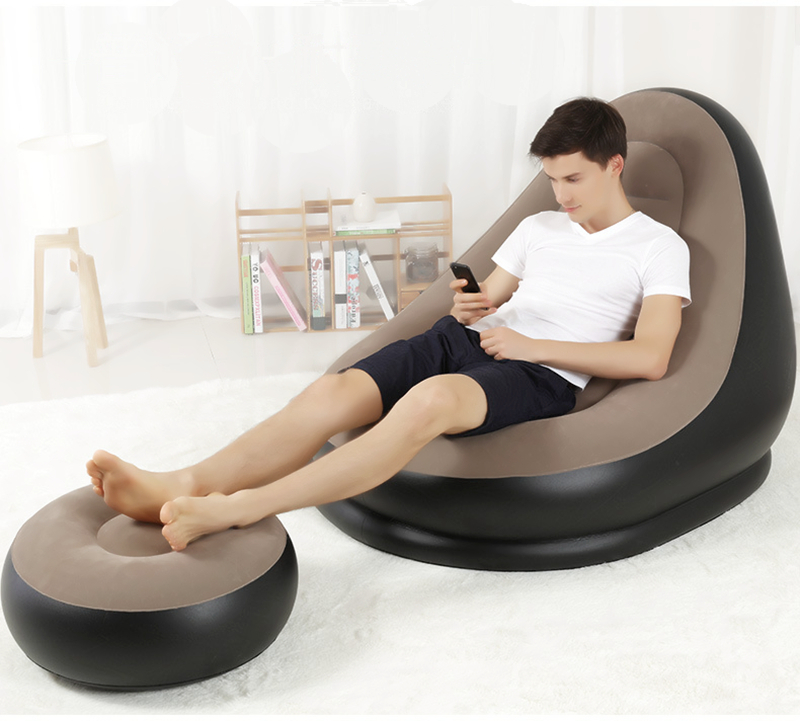 If too full, it will cause the bed surface to expand and bulge, unable to repair. 4. When the temperature drops, the bed will become softer. This is a normal phenomenon and you can add air regularly. 5. keep the ground flat, no nails, stabs, keychains and other sharp objects. Away from fire. 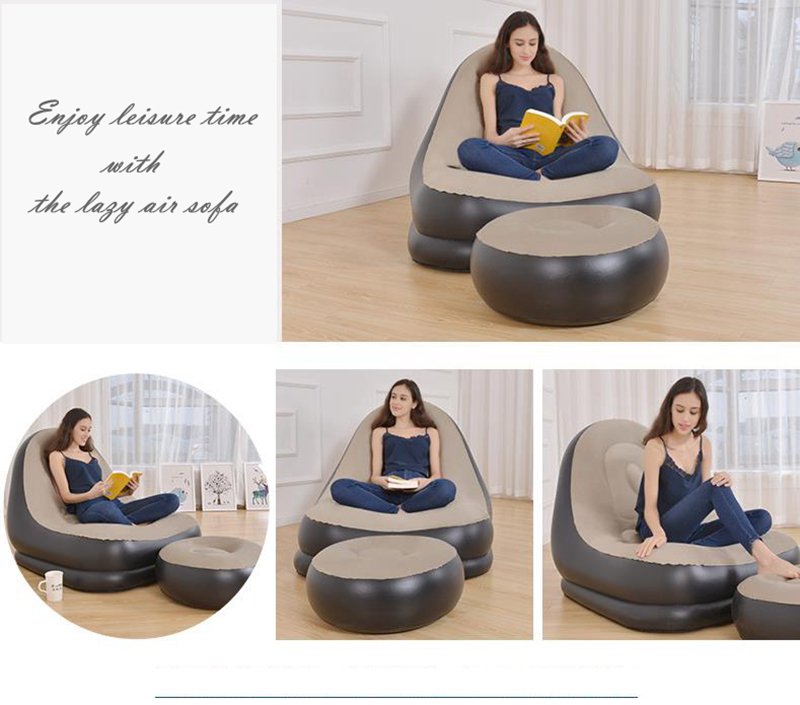 Nice comfortable Chair with Ottoman stool, which can also be used as a seat with a partner, or even as a side table to stack books or papers. 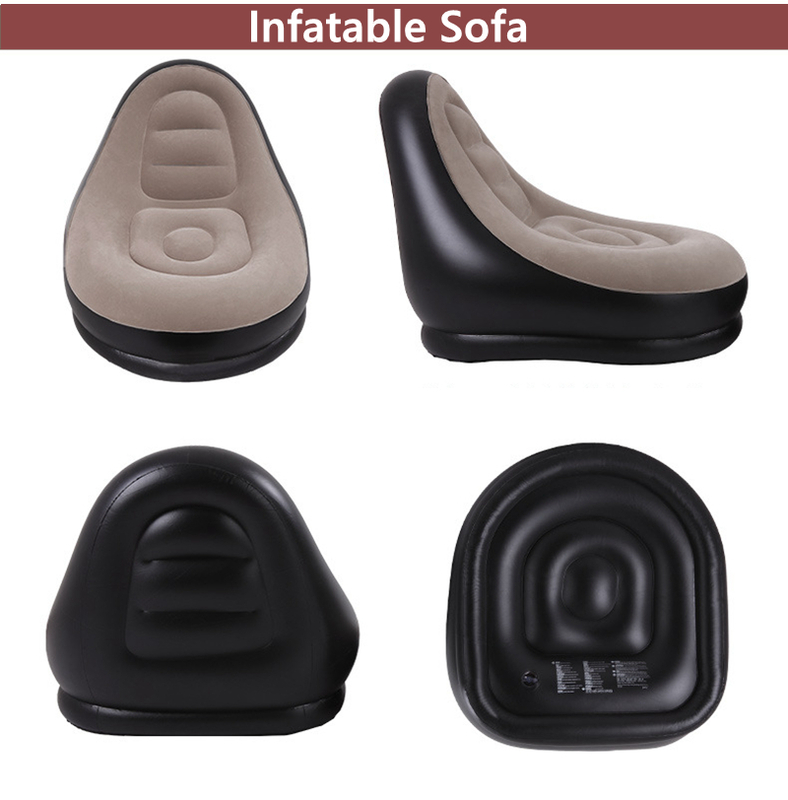 Deluxe inflatable furniture for dormitory and home use.